We have seen the million dollar home page, Barack Obama harnessing micro-donations to fund his campaign, Tudor Ciara selling micro ads on his wedding tie and the millionaire businessman selling raffle tickets for someone to win his lifestyle. 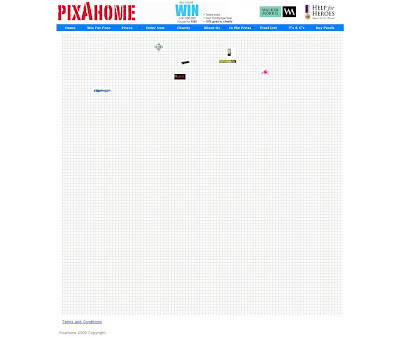 Now we see PixaHome taking this idea one stage further and integrating Twitter - PixaHome are offering a Twitter user a chance to win a £1m Grand Designs house! Win a Grand Designs house on Twitter! 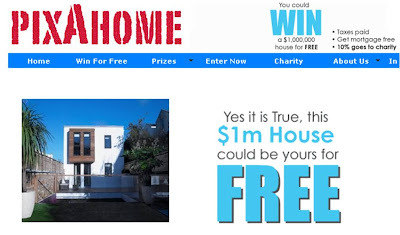 The winner of the £1m PixaHome house will be selected at random in October 2009 from the followers of the PixaHome Twitter account @pixahome. There will also be other prizes provided by advertisers and 10% of all proceeds will go to the Help4Heroes charity.